Prominent Likud MK says coalition that leaves out religious Zionist party may make land concessions. MK Ze'ev Elkin (Likud / Yisrael Beytenu) thinks a coalition that does not include the Bayit Yehudi religious Zionist party could wind up making land concessions like the disastrous 2005 Disengagement from Gaza. 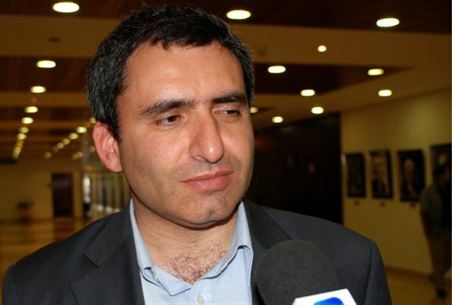 Elkin, who served as coalition chairman in the previous Knesset, told Arutz Sheva that he thinks Likud / Yisrael Beytenu needs to build its next government around a 61-seat basic coalition that includes the religious parties, both Zionist and hareidi. The Disengagement, he said, was made possible by the fact that the Right did not have a 61-seat majority in the Knesset at the time. Elkin said that President Barack Obama's upcoming visit is not intended to influence the coalition-building process, since Obama realizes this is an internal Israeli matter. However, he said, the visit is important because it shows that the concerns that Netanyahu's reelection would herald a period of international isolation for Israel were unfounded. Elkin confirmed that Tzipi Livni's 6-MK party is in advanced negotiations for joining the coalition. He said that while Livni will not be foreign minister and will not head the Israeli team in negotiations with the Palestinian Authority, if and when they take place – she can still be a part of the negotiations team. Prime Minister Netanyahu will head such a team, he said.